Join us Wednesdays during Lent as we continue our Lenten journey exploring and reflecting on living as followers of Jesus. 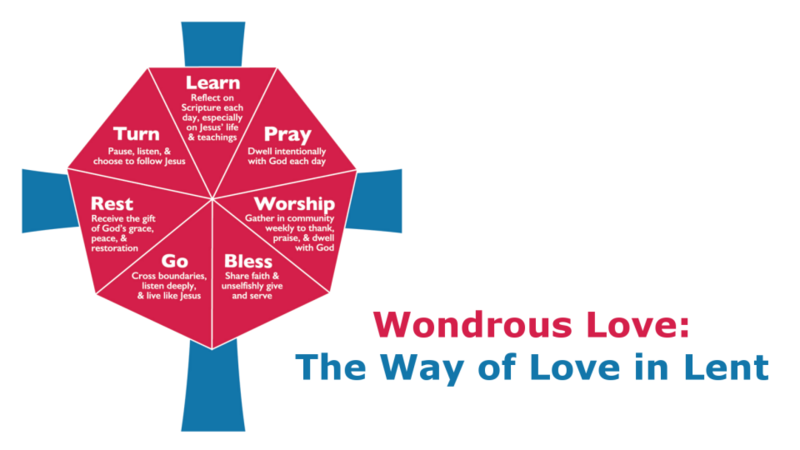 This week we will focus on the Way of Love practices, Turn and Pray. Parishioners Shirley Bickel, Nate McNiel, and Denise Seguine will share their experiences of Lent and how prayer has impacted their relationship with God. Nursery will be provided. Join us as we continue our journey as followers of Jesus. If you have any questions or would like to be on the panel, please contact Debbie Fegan, Carmen Anderson, or Gee Petrosky.